Tuesday, January 8. Join the men of the church and their friends as they continue this winter tradition. 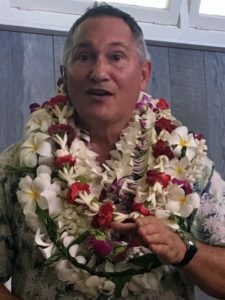 The men meet each Tuesday at 7:30 a.m.at Kalapaki Joe’s Poipu for this time to catch up with returning snow bird friends. Everyone (men and women) is invited to breakfast on the 4th Tuesday of each month. PRAYERS & SQUARES All are welcome to participate in this ministry of making quilts and prayer squares for those members of our congregation who are experiencing a life crisis. Our next gathering is scheduled for Tuesday, January 8, at Koloa Union Church from 1 to 4 p.m.
Each week, Christians throughout the world read biblical passages from the Revised Common Lectionary, including the Old Testament, Psalms, New Testament, and Gospels. After three years, a good portion of the Bible is included and the cycle begins again. RCL passages are often read in church worship services, and Kahu Akana usually includes at least one of them on the following Sunday. This week’s readings are Isaiah 43:1-7; Psalm 29; Acts 8:14-17; Luke 3:15-22. DEACONS MEETING Our Deacons will meet for their monthly meeting this Sunday, January 6, at 9 a.m. in Kahu’s office. MEN’S BREAKFAST Tuesday, January 8. Join the men of the church and their friends as they continue this winter tradition. They meet each Tuesday at 7:30 a.m.at Kalapaki Joe’s Poipu for this time to catch up with returning snow bird friends. Everyone (men and women) is invited to breakfast on the 4th Tuesday of each month. PRAYERS & SQUARESz All are welcome to participate in this ministry of making quilts and prayer squares for those members of our congregation who are experiencing a life crisis. Our next gathering is scheduled for Tuesday, January 8, at Koloa Union Church from 1 to 4 p.m.
LECTIONARY READINGS (Old & New Testament Readings for the Week) Each week, Christians throughout the world read biblical passages from the Revised Common Lectionary, including the Old Testament, Psalms, New Testament, and Gospels. After three years, a good portion of the Bible is included and the cycle begins again. RCL passages are often read in church worship services, and Kahu Akana usually includes at least one of them on the following Sunday. This week’s readings are Isaiah 60:1-6; Psalm 72:1-14; Ephesians 3:1-12; Matthew 2:1-12. *Christmas Eve is typically our highest attended service of the year. Please come early for parking and a good seat. For those who are able to walk a short distance, you may park at Koloa Elementary School and library or on Waikomo Road. Please give or mail 2018 gifts to the church before January 1, 2019. Mahalo nui loa for your generosity!!! The Christmas Fund Offering, administered by the United Church of Christ Pension Boards, provides direct financial assistance to retired and active UCC authorized ministers and lay employees and their surviving spouses, including pension and health premium supplementation, emergency assistance, and Christmas “thank you” checks. Each year, UCC congregations throughout the country collect this offering to assist faithful servants of God who are facing financial difficulties. We not only share hope, peace, joy and love with them; but they, in turn, pass these things along to others in their communities and in the world. We will collect the Christmas Fund offering on Sunday, December 23, Christmas Eve and Christmas Day services. Special offering envelopes will be provided. 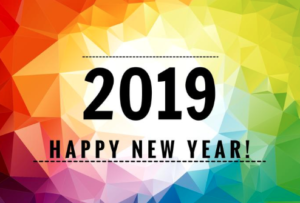 As usual, we come to the end of the year with expenses exceeding income for our general fund, which provides salaries for Kahu and staff, Sunday morning worship, connections to the wider church, our monthly and quarterly bills, and a large portion of our mission and outreach. December is our opportunity to “close the gap” and do our best to begin the new year in the black. For those who made financial commitments (pledges), please fulfill them if you are able. For everyone, please consider a Christmas present to Koloa Union Church by giving an “over and above” gift. We are now able to expand the church office and build a brand new women’s restroom without borrowing any money! For those who made capital campaign financial commitments (pledges from 2015-2018), please fulfill them as you are able. That way, we can accomplish everything on our capital campaign list…and maybe even more! 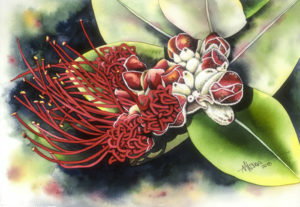 Kahu Alan Akana has been watercoloring the flowers of Hawai`i for 25 years! You are invited to join him at Alan Akana Gallery on Sunday, December 30, from 2 to 5 p.m. for a special anniversary celebration. There will be refreshments, music, door prizes, and all items will be on sale 20-50%. The gallery is located in the Smith Memorial Parsonage at 3281 Waikomo Road, just around the corner from the church. Proceeds from sales support the maintenance and care of the parsonage. Invite your friends to come and enjoy this special occasion! LECTIONARY READINGS (Old & New Testament Readings for the Week) Each week, Christians throughout the world read biblical passages from the Revised Common Lectionary, including the Old Testament, Psalms, New Testament, and Gospels. After three years, a good portion of the Bible is included and the cycle begins again. RCL passages are often read in church worship services, and Kahu Akana usually includes at least one of them on the following Sunday. This week’s readings are Micah 5:2-6; Psalm 80:1-7; Hebrew 10:5-10; Luke 1:39-55. LECTIO DIVINA Join us at the Smith Memorial Parsonage (3281 Waikomo Road) on Wednesday, December 12, from 7 to 8:30 p.m. as we reflect on the Scriptures in silence and share our experiences of doing so. The season of Advent is an especially important time to reflect and consider the meaning of God’s presence among us. 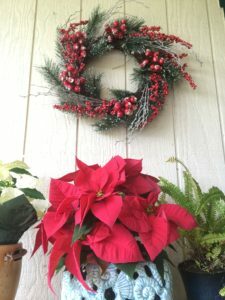 CHRISTMAS CAROLING Christmas caroling at Sueoka Store on Monday December 17, 5-7 p.m. We sing to support the Salvation Army Red Kettle Campaign, which feeds hungry people on the island. LECTIONARY READINGS (Old & New Testament Readings for the Week) Each week, Christians throughout the world read biblical passages from the Revised Common Lectionary, including the Old Testament, Psalms, New Testament, and Gospels. After three years, a good portion of the Bible is included and the cycle begins again. RCL passages are often read in church worship services, and Kahu Akana usually includes at least one of them on the following Sunday. This week’s readings are Zephaniah 3:14-20; Isaiah 12:2-6; Philippians 4:4-7; Luke 3:7-18. THIS SUNDAY Join us on Sunday, October 28 (the Sunday before All Saints Day) as Tiffany Marrotte, our Sunday School Superintendent brings us a wonderful message! LECTIONARY READINGS (Old & New Testament Readings for the Week) Each week, Christians throughout the world read biblical passages from the Revised Common Lectionary, including the Old Testament, Psalms, New Testament, and Gospels. After three years, a good portion of the Bible is included and the cycle begins again. 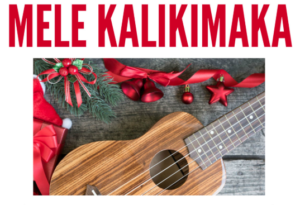 RCL passages are often read in church worship services, and Kahu Akana usually includes at least one of them on the following Sunday. This week’s readings are Job 42:1-17; Psalm 34:1-22; Hebrew 7:23-28; Mark 10:46-52..